If you have an abundance of books hanging around your house, you should consider actually hanging them. Around your house. I was paging through a magazine the other day when having coffee at Barnes and Noble. Turned the page and there was an ad for Modern Patchwork Magazine, and a picture of my selvage pillow. I may have choked on my coffee just a little bit. We had a freak shower storm the other day, complete with thunder and lightning. Seriously. It never rains in Fresno in August. The weird thing was that we also broke a heat record that day--109 degrees. The hottest August 19 since 1892. I had lunch the other day with friends in a town about an hour away. We drove down there to go to Hobby Lobby. Do any of you have Hobby Lobby? What a cool store! 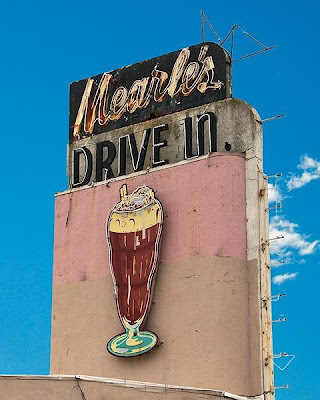 Anyway, we had lunch at The Habit, which is in a building that used to be an iconic drive-in, Mearle's. It opened in the 1940s and closed in 2003 after a fire. Here's a piece of trivia: When Aaron was in 2nd grade, we were sitting in Mearle's and had just placed our order when we noticed Aaron was itching all over. On closer inspection, we realized he had chicken pox. Oh well. We waited until we finished our burgers and fries before leaving, deciding that by then he had already exposed anyone who was sitting close by anyway, right? Now it is inhabited by The Habit, which also makes really great hamburgers. 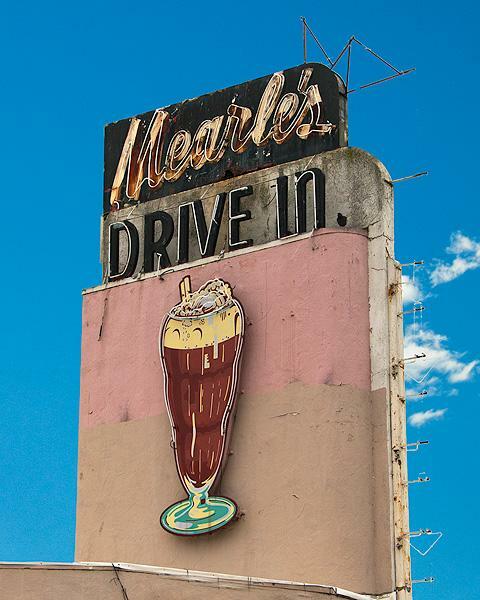 Inside they have a replica of the original Mearle's. It's nice that a chain restaurant has paid homage to local landmark. 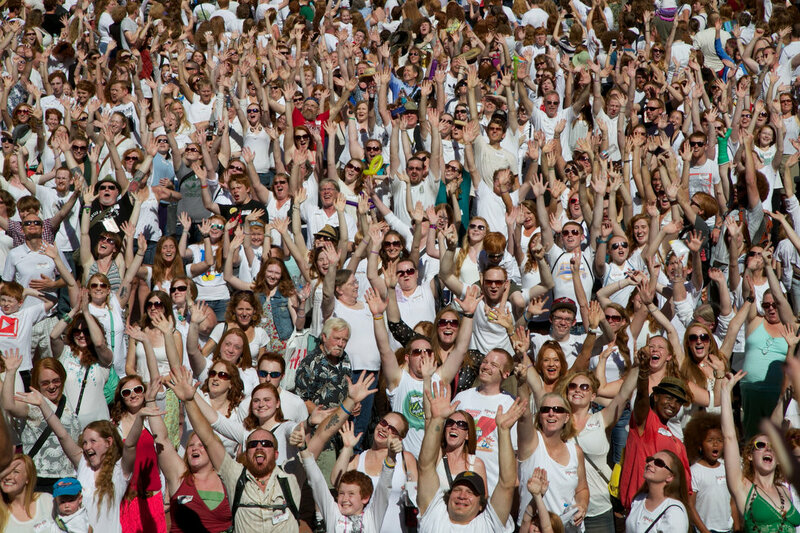 Roughly 1,600 redheads gathered in downtown Portland for 10 minutes on Saturday, unofficially nabbing the world record for the most ginger-haired people assembled in one place. Love the Portland gathering. We have a stunning redhead who is four. Dark auburn curls, she often asks people if they love her hair because she is told so often by everyone. true story- my handwriting is much better when I quilt it with free motion quilting then if I write it- dunno why... love the red head gathering in Portland- how fun- My dad has red hair and my mom always dreamed I would too while she was pregnant with me- she was hoping for a red haired blue eyed baby like my dad- but I ended up blonde with green eyes- soo guess that one didn't work out for her! What a surprise to see your selvage hexie in a quilting magazine. I hope you were recognized for making the Hexie pillow!! Enjoyed reading your random thoughts! I live in Ontario, Canada and we do not have Hobby Lobby. But we do have Tim Hortons! Ha, ha! Must have made you smile to see your pillow in print. What a wonderful surprise! 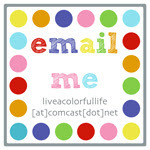 Thanks for hosting the linky and sharing your random thoughts with us! Hey - your signature looks like mine. I'm Christa Watson, so it's basically a C W and some squiggles, LOL!! Looks like you're having a great summer! I would choke on my coffee, too, if I saw that ad. I just saw in the "coming issue" of Gen Q my pattern will be in it. I choked a little, too! :-) Hugs! My Dad always said the same thing...even into his 90's he had the most beautiful cursive handwriting. Thanks for reminding me of him today. We don't have any Hobby Lobbys here, but we do have the Habits. Fabulous burgers too! 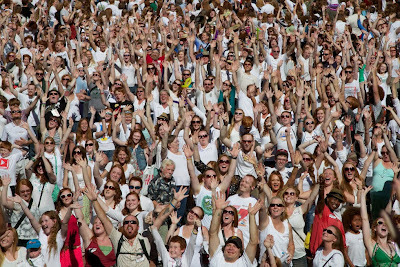 The redhead convention would have been fun to attend. Ha, love the book decor! I first went to Hobby Lobby in Minot, North Dakota. All GREAT things start in the Midwest, I am thinking! 1. Over here by us, the only way to end the very hottest days is with a thunderstorm and lots of rain (usually something to do with cold fronts hitting our humidity). 2. I am seriously in love with Hobby Lobby! I could drive by one on my way home from work. If I chose to take the main street instead of the quicker and less trafficekd route of side streets. 3. I hope you do know about the weekly Hobby Lobby coupon. I print one from their website before I go. Or you could show it to them on an iPhone, if you happen to have that kind of phone. I do not. Hobby Lobby has a 40% off any regular priced item every single week. The trick is in finding something in that store that is not on sale. Oh, and the store is closed on Sundays, closes at 8:00, plays Christian music, and has the best interior decor, and carries many religious decor items. I L.O.V.E. Hobby Lobby. One of my best yarn suppliers (only because I cannot afford the yarn boutiques). 4. I really enjoy local landmarks and historical info. Fun to see it was somewhat preserved. 5. Congrats on the pic in the quilting magazine. Tuesday was so much fun! How fun to see YOUR work in a magazine. Happy to hear you got rain! I bet it felt great. We had a surprise rainstorm today too, which was nice since we haven't had rain in a few weeks. Congrats on spotting your pillow! It's very cool, and I'm happy to see you in print. 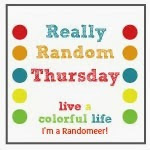 Love your Random Thursday stuff, esp. the story about the chicken pox. Funny girl. When I come up (when? don't know--not this week!) we'll have to go to The Habit, yes? And no worries--I've already had chicken pox! :) Have a good weekend! Congrats on your pillow being published! I'm enjoying your random late this week. I especially like the hanging books! Love your random posts. That book decorating is kind of intriguing. Hope it stays up! My brother is a redhead. He should have gone to Portland. They are definitely a minority in Australia.